You are just going to love this dish as it is done all in one pan and in just 30 little minutes. 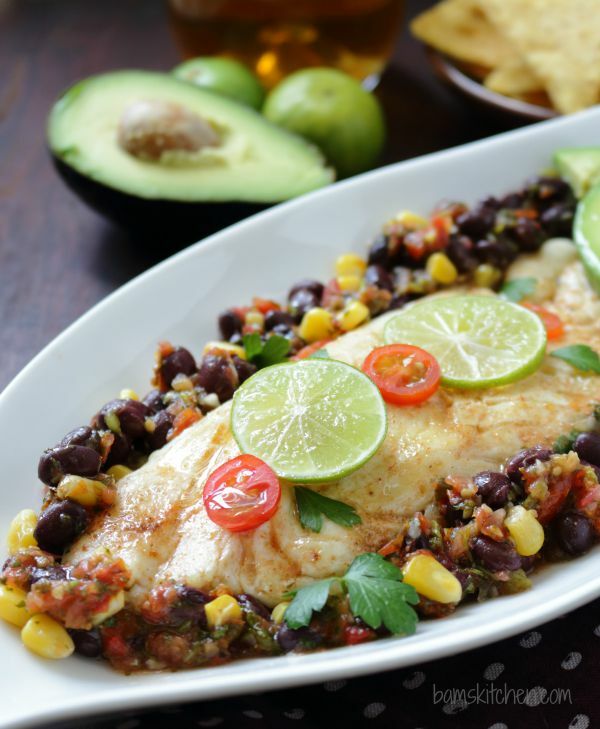 Baked Skinny Tex-Mex Fish is diabetic friendly, cardiac friendly, low carb, gluten-free, egg free, dairy free, low-fat and just darn delicious. Do you remember a few months ago I posted a recipe for Healthy Mediterranean Baked fish? The fish literally poaches in the with the tomatoes and Mediterranean flavors. 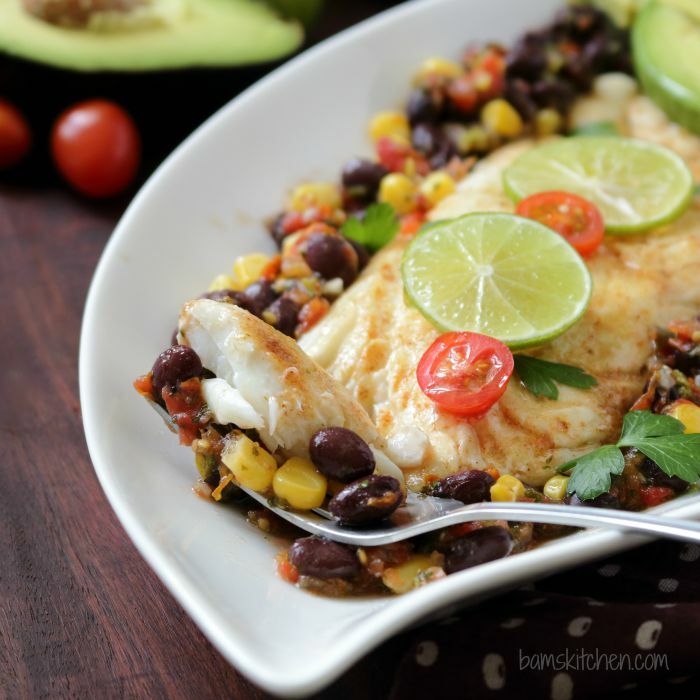 This delightful baked skinny Tex-Mex fish works the same way but with delicious Tex-Mex flavors instead. 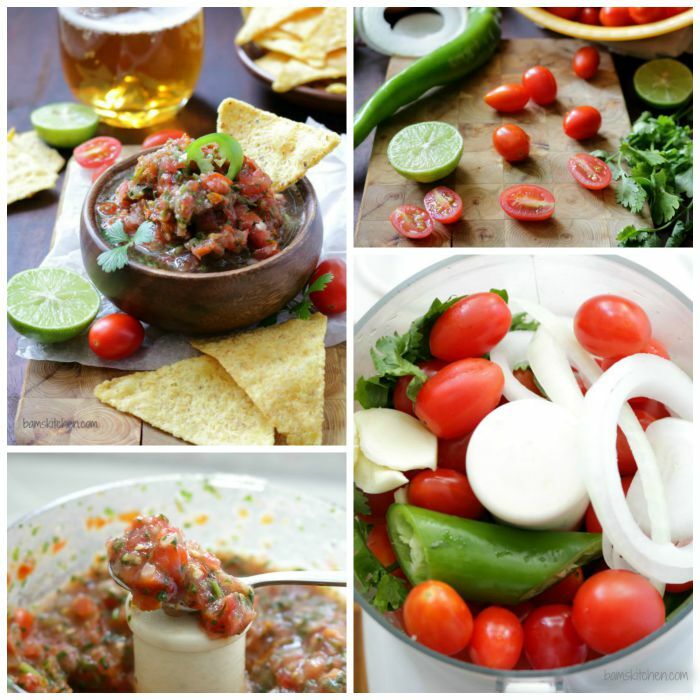 I first made a quick and easy fresh tomato salsa/ pico de gallo in my food processor. Seriously, I cannot be bothered to be cutting up all of the tomatoes into micro cubes so I just whiz it up instead in my food processor with fresh tomatoes, onions, garlic, cilantro, lime and a little mild Chinese green chili (as I cannot find jalapeño in Hong Kong). It's a breeze to make. You can either make your fresh salsa hot or mild depending on the crew you are feeding likes it. The green chilis that you find in Hong Kong are quite mild to medium and this was perfect for us. Please adjust the heat to your liking. 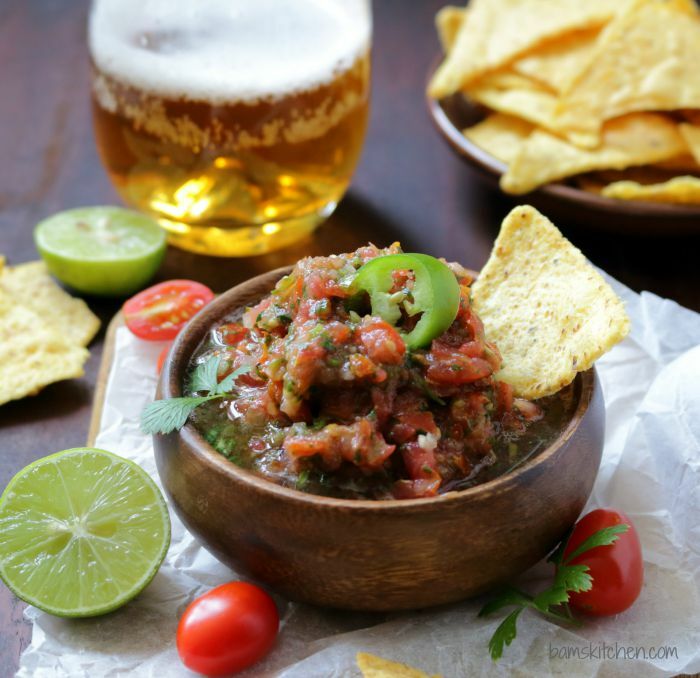 However, if you not feeling up to making homemade salsa in the food processor as it is just too much on a work night, just swap out with your favorite jarred salsa from the grocery store. I promise I won't tell a soul. I remember they also had this great fresh salsa in the refrigerator section when I used to live in the States. Do they still make this? I kept the seasoning really simple with just a little cumin, salt, pepper and lime to let the true flavors of the delicate fish and the salsa shine through. 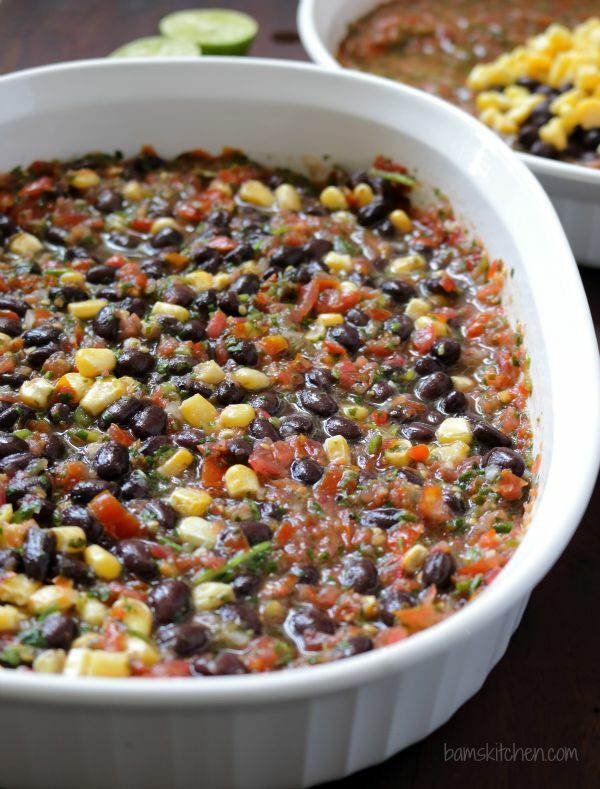 I mixed in a little black beans and corn onto the salsa to make it a little heartier and delicious, but you can add any additions you like. You can use any mild white fish that you like and can get a hold of . 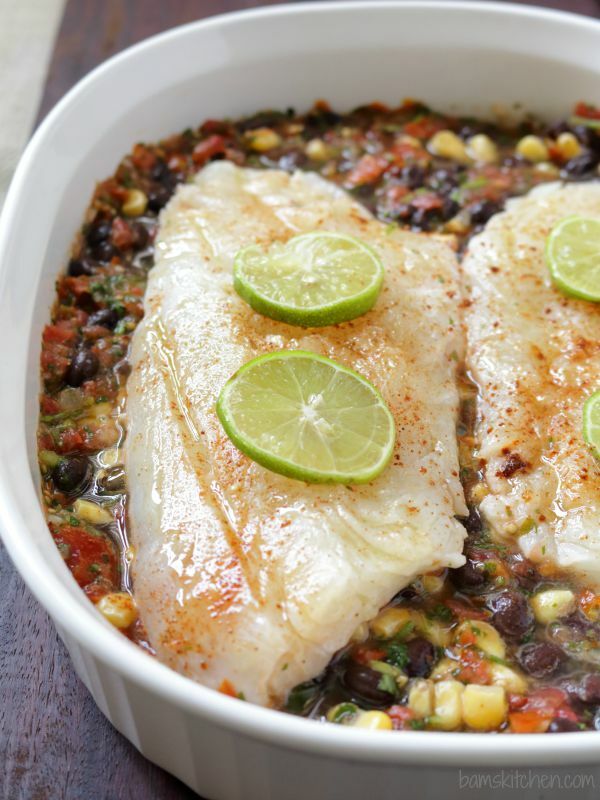 Some examples of mild whitefish that would well with this recipe are tilapia, cod, catfish, grouper, mahi mahi, etc. 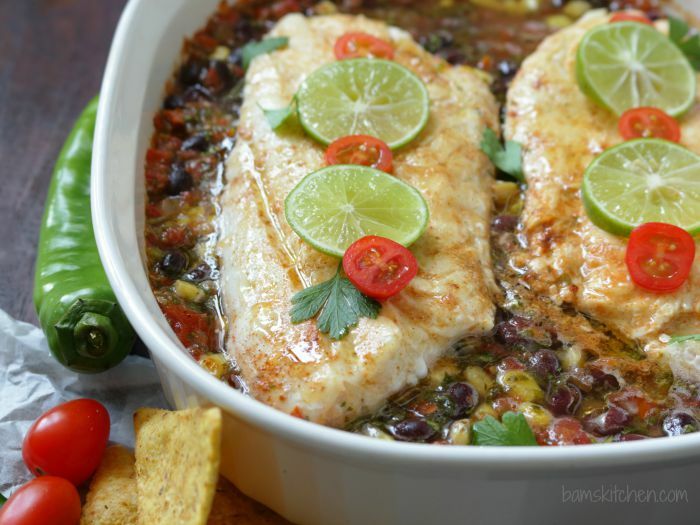 Did you know there is over 11 million recipes for Tex Mex Fish on the internet. However, none of them are this healthy as many are slathered in cheese, pasta or corn tortillas. 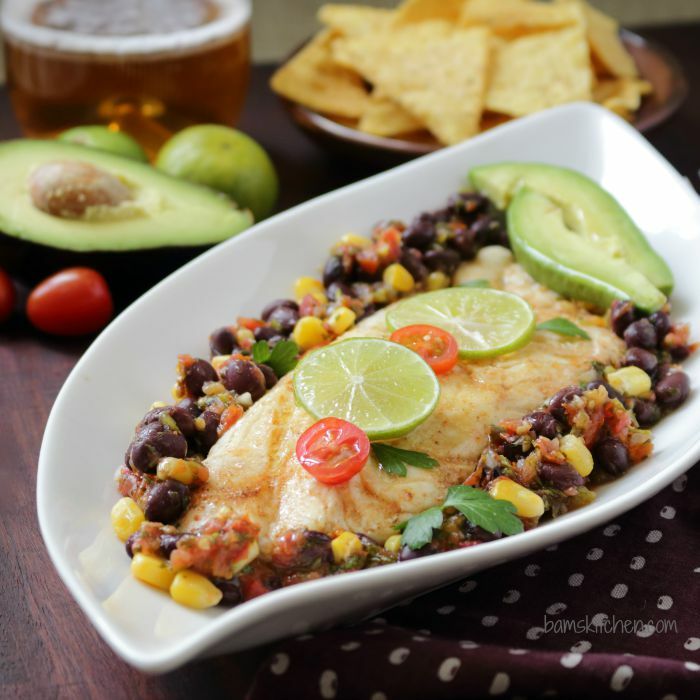 Baked skinny Tex Mex Fish is your answer for a healthy and delicious recipe on those rushed and busy workdays and even nice enough to serve guests on the weekend. 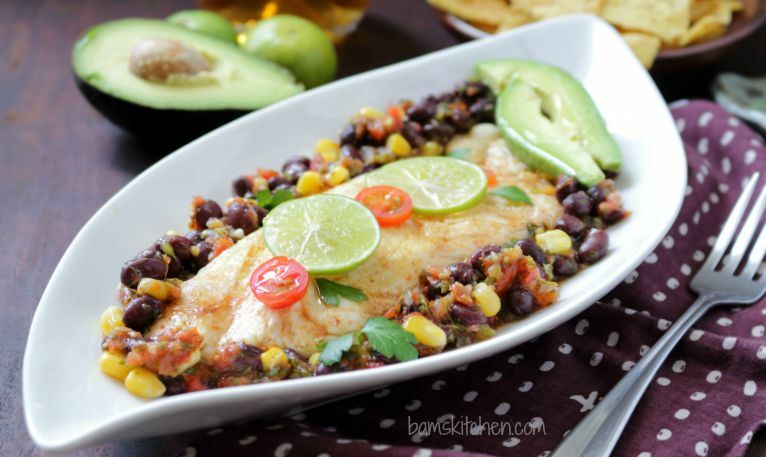 I am making this delicious Baked Skinny Tex-Mex Fish for a very fun event that is coming up. I can't tell you quite yet but keep on reading Bam's Kitchen recipes and this month we have something very special in store for you. 1Preheat the oven to 190 degree celsius or 375 degree F.
3Spray a 9 x 11 pan with a little spray oil and 2 cups of salsa in the pan. (Reserve the other 1 cup for snacking with corn tortilla chips while you wait for the fish to bake...you can thank me later) Mix black beans and corn into the fresh tomato salsa. 4Lay the white fish fillets on top of the salsa. Season with cumin, salt and pepper and a little fresh lime juice. Bake fish for about 15-20 minutes or until the fish flakes easily with fork. If you have little flat fish it will only take maybe 15 minutes and for thicker fish longer depending on the size of fish you are baking. 5Garnish your fish with fresh limes, tomato slices, avocados and cilantro as desired and enjoy.